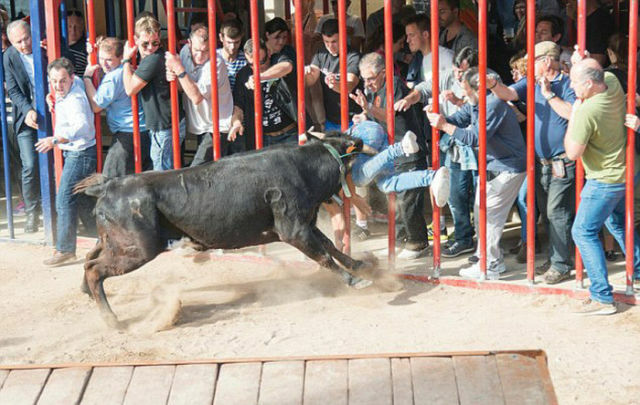 Ya know, I have no wish to see anyone injured but... each year with the Running of the Bulls in Spain, it's not hard to cheer for those critters, lol. Stabbed? How about Gored instead?